The founder of the Life Ball, Gery Keszler, revealed in an emotional speech that he was one of the very first, infected by HIV/AIDS. 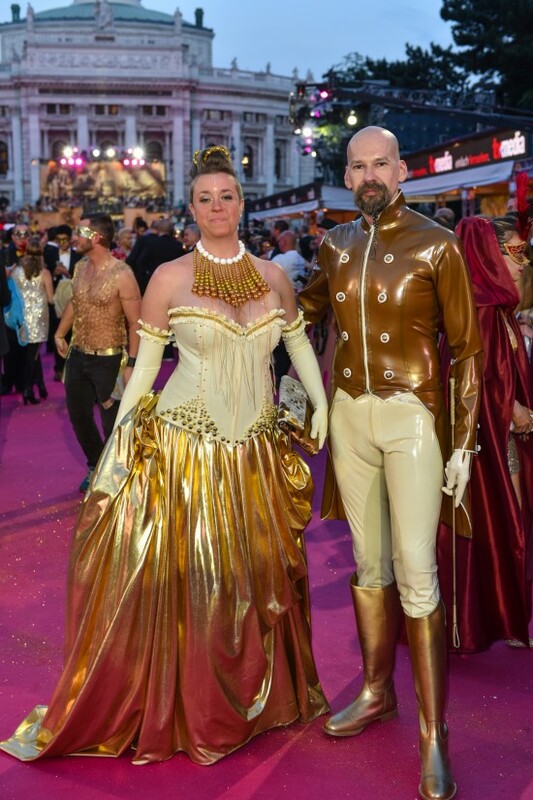 Best pics of the golden Life Ball inside this post. 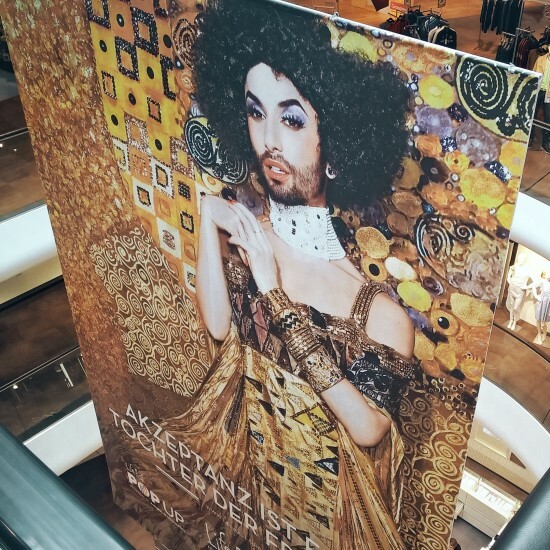 Bigger-than-life Life Ball poster with Conchita Wurst as Gustav Klimt's Adele in the Gerngross shopping center. Hi, Gery Keszler, the founder of the Life Ball, once more reminded us that the Life Ball is not just a big party, but it also has a serious cause. Gery opened his emotional speech with devoting this year's Life Ball to a recently departed, close friend, who died of AIDS. Hardly recovered from the tears and only moments later he surprisingly revealed for the first time, that he himself had been infected by HIV thirty years ago in his twenties. He was one of the very first HIV positives in Austria. I think this really shocked a lot of people, but at the end of the day it is not so surprising. 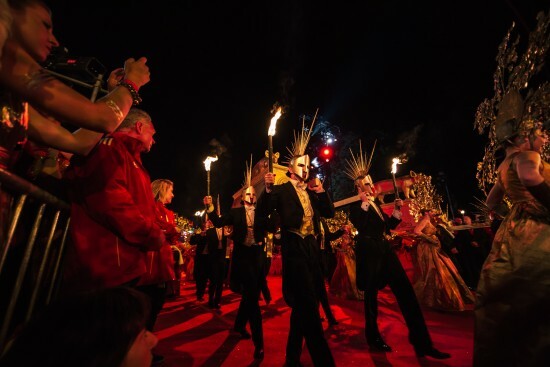 Kudos to Gery for coming out with this now and I believe it gives him and the Life Ball even more credibility. What surprised me, however, is that he kept this a secret for more than 30 years. 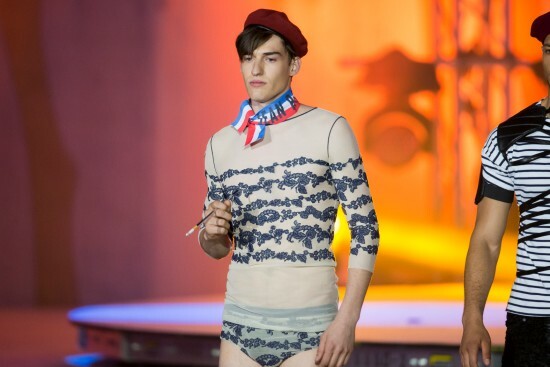 Jean Paul Gaultier was the host of this year's fashion show. 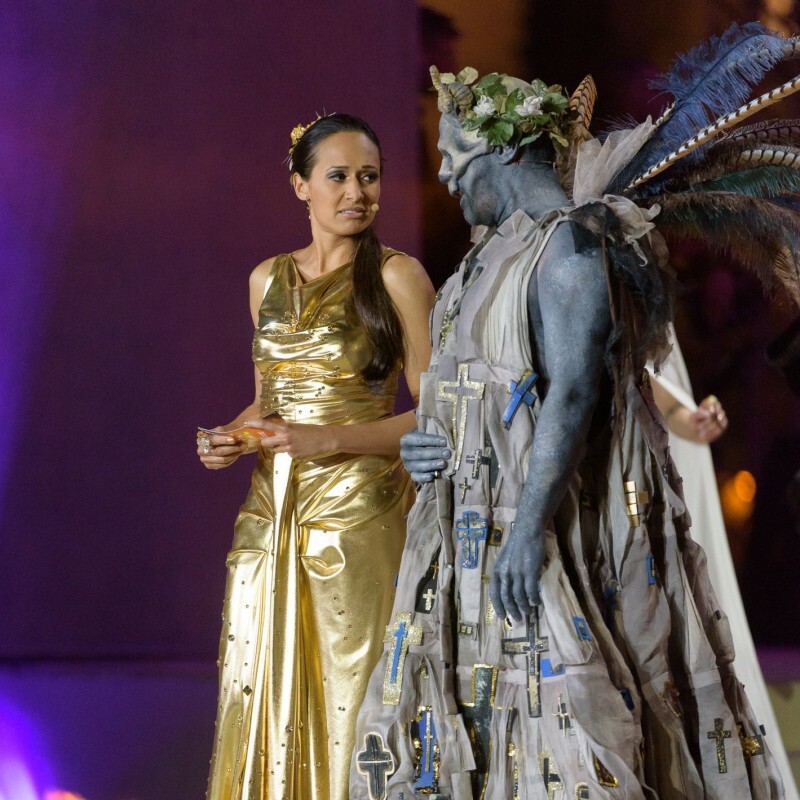 The style of the 23rd Life Ball was positioned around Gustav Klimt, Adele, Ver Sacrum (Sacred Spring), and Vienna Secession, which gave the event its iconic, golden appearance. 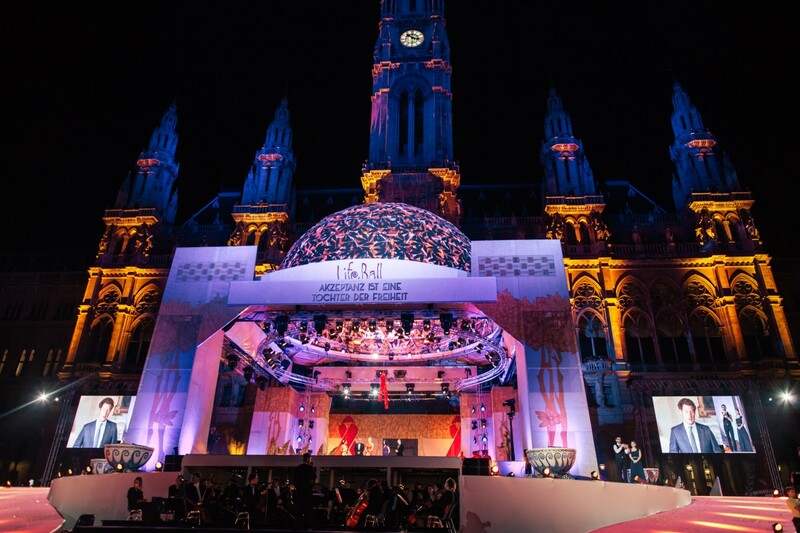 The Life Ball stage was inspired by "Wiener Secession", a museum and building of contemporary art in Vienna. 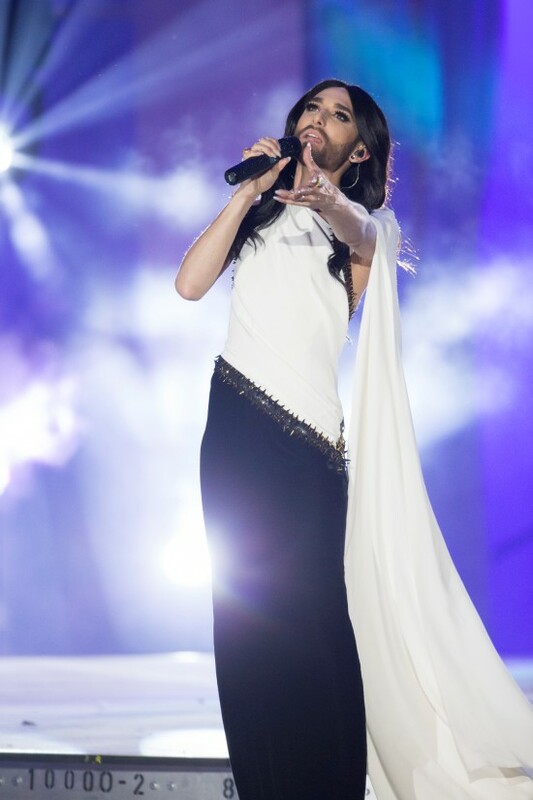 Conchita Wurst closing the show with her new song Firestorm. 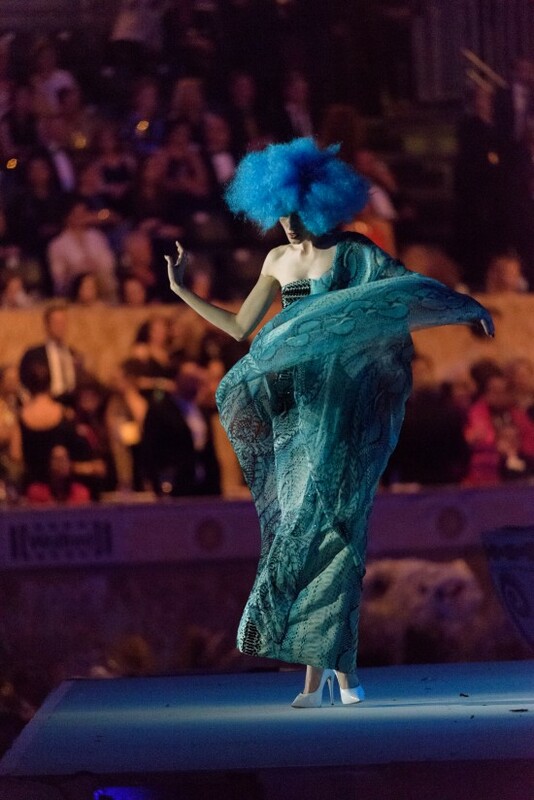 Photos courtesy of Life Ball | AIDS Life.